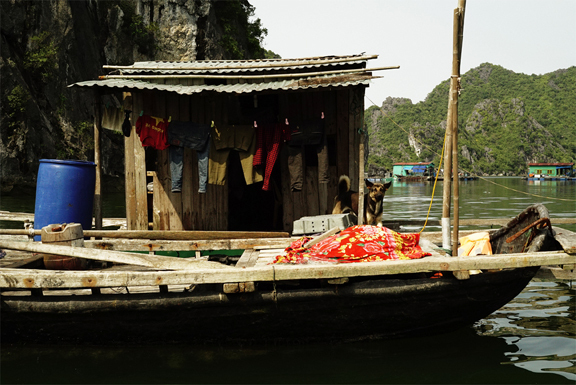 “Floating Cat Ba” project is about a large and old rare Floating Houses Community situated in a stunning landscape of limestone karsts and isles in various height and shapes of the Cat Ba Island, part of the Cat Ba Archipelago of Ha Long Bay, in the Northern Vietnam. This project is focused on the interaction between the landscape, the simple and floating wood houses and the daily life-style of their inhabitants. People mostly fish and also raise different kind of fishes in wooden square structures, with nets underneath, held to float by barrels. This system make it possible to walk around the edges of each wooden structure to feed the fish. People have also different kind of boats and any floating house has often more then one dog, running around and barking to anyone who is passing by and they have also chickens. The kids are often hanging out playing or helping the parents. For centuries, many people grow up in this stunning landscape full of vivid colors of the houses, the boats, the people and all is reflected onto a clean green surreal water surrounded by tall limestone islands, covered by green tropical trees, mangrove and rainforest. People move here and there always by boat and also the vendors, go around selling vegetables, rice, fish, drinks, tools and anything they need, passing by the houses. Not only dogs and kids, but most of these people, they never left the town and they always float. 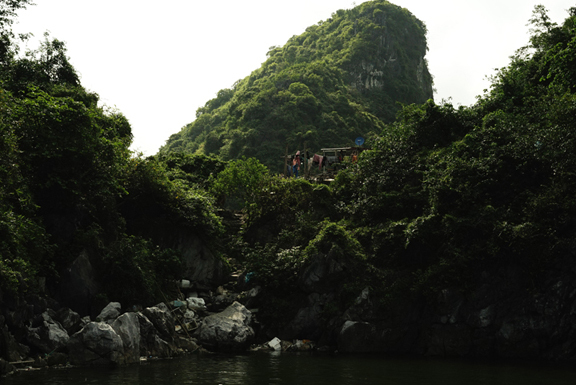 Cat Ba Archipelago features thousands of limestone karsts and isles in various sizes and shapes. In 2004, it was declared a UNESCO World Biosphere Reserve. The site has drawn international interests and assistance for wildlife conservation. Cat Ba archipelago has become truly a valuable genetic reserve for a variety of wildlife and plants, including the rare and endangered species. 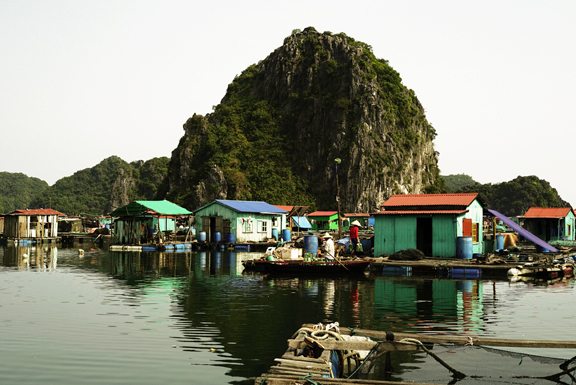 Cat Ba Island is the biggest island in the south west of The World Heritage Site of Ha Long Bay.